I would guess all of us have read something recently about heart disease, obesity, high cholesterol, exercise, type II diabetes, weight loss programs, or the latest superfoods. Anyone read anything about the liver lately? Thought not. Although the liver is a topic not often written about, it is an amazing organ that sadly doesn’t get the publicity it is due. 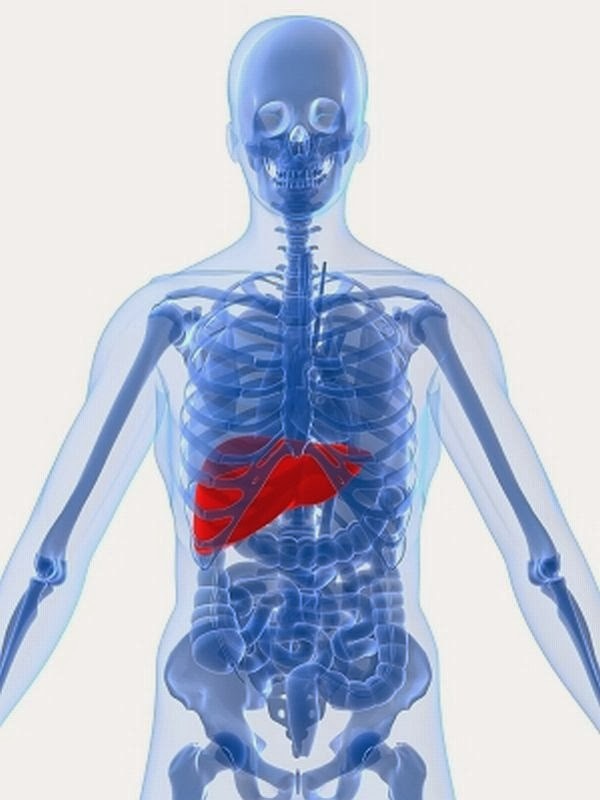 The Chinese call the liver “the father of all organs” for a very good reason. The responsibilities of the liver are too numerous to mention here - over 500! Just to name a few, at this moment our liver is cleaning our blood, regulating blood clotting, converting fats, proteins, and carbohydrates into energy and nutrients, and helping our body to resist infection. It is regulating many of our body’s functions including that of cholesterol, the supply of essential vitamins and minerals, and the balance of many hormones. It is producing bile that breaks down fats and is eliminating fat-soluble toxins and excess hormones. There is no getting around it - we have little control of the thousands of harmful toxins we are continually exposed to that the liver is entrusted to eliminate - pesticides, herbicides, paint, cigarette smoke, bacteria, fungus, exhaust fumes, plastics, heavy metals, cleaning products, mold, and more. In 1994, the EPA estimated more than 2.2 billion pounds of toxic chemical were released into the environment in the United States. Our ability to detoxify these substances is critical for our well being, and our liver is working nonstop to remove them. “Toxic load” is a term used to describe the tipping point when the liver becomes so overwhelmed, it is unable to keep up with the demand to rid itself of toxins, resulting in an accumulation of toxins in our body. The inability to get rid of the toxins in our body contributes to a variety of health problems including allergies and sensitivities, high cholesterol, high blood pressure, weight gain, skin rashes, irritable bowel syndrome, indigestion, fatty liver disease, hormone imbalances, jaundice, asthma, weakened immune system, canker sores, water retention, constipation, fatigue, gallstones, difficulty with sleeping, hepatitis A, hepatitis B, hepatitis C, and joint pain. Whew! Prolonged exposure to toxins can lead to many chronic illnesses. The ability for the body to detoxify toxins is necessary for our overall good health. Taking a long term approach of reducing exposure to toxins and eating a healthy diet will help avoid toxic overload and the risk of chronic diseases.